Flash Cooking begins by preparing you with flavours from across the globe in the form of seasonings, glazes, rubinades, pastes, finishing salts and yoghurts. Tastes of India, the Middle East, Far East and the West can be created in a flash and be added to fish, meat and vegetables to transform your everyday meals into dishes from around the globe. A very good introduction to flavours for the intrepid cook. And so the journey I took my diners on began with a stop over in the Middle East. So impressed, it had them wishing they’d stayed for longer! Harissa glazed cauliflower steaks with mint yoghurt was visually exciting and the spicy meat of the cauliflower was perfectly paired with the freshness of the yoghurt. 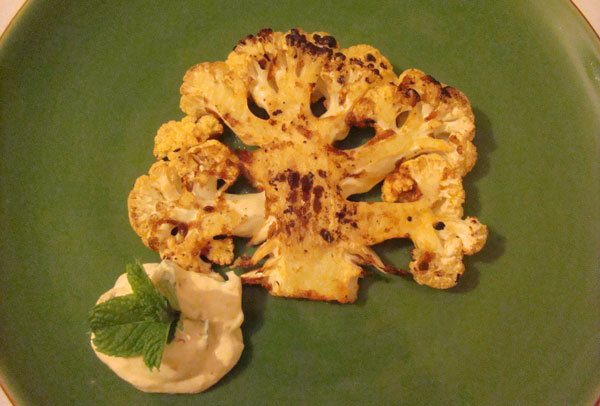 Easy to prepare and impressive to serve, it was a new way with cauliflower. It must be noted though that you can only get two, three at a squeeze nicely formed steaks out of the cauliflower so you do have quite a bit of leftover cauli to deal with. Smear the tamarind paste, place the lime slices in the centre and scatter over the onion, ginger, garlic, chilli, curry leaves and coriander. Drizzle with oil and add the butter. Wrap the parcel by folding the two edges over then twist each end and fold under to ensure none of the juices will escape. Place in the oven and cook for around 15-20 min, until the fish is cooked through and firm to touch. 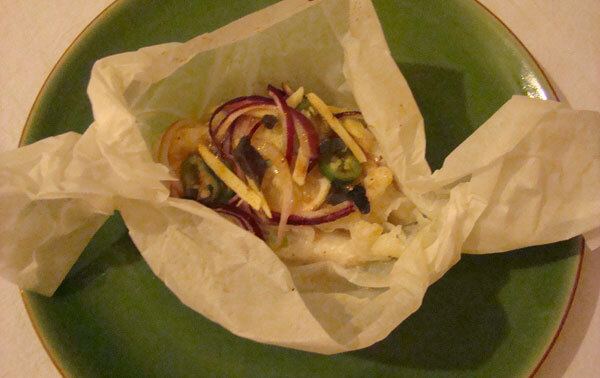 Serve in the parcel and with a lime wedge. My diners were then walking the vibrant and gritty streets of Bangkok where they stopped for some Dirty Quinoa. I love quinoa and have confessed this in a previous post, and so I was eager to give this Thai take on my favourite superfood a whirl. It was good! A Thai green curry all rolled into one simple and comforting dish. We were left guessing where the ‘dirty’ came from, but we had our suggestions! Whilst still in Asia we discovered wrinkled beans which had the salty, slightly spicy qualities of a delicious dish. It could have been the inclusion of the taste of Australia, Vegemite, which drew me to this one! And perhaps I gave quite a generous squeeze of the nations favourite flavour, but the results were undeniably good! And even my British co-travellers were going in for seconds! To a blender, add 1 tbsp of the sesame oil, soy sauce, ginger, garlic, sun-dried tomatoes, lemon grass and Vegemite. Blitz to a paste. 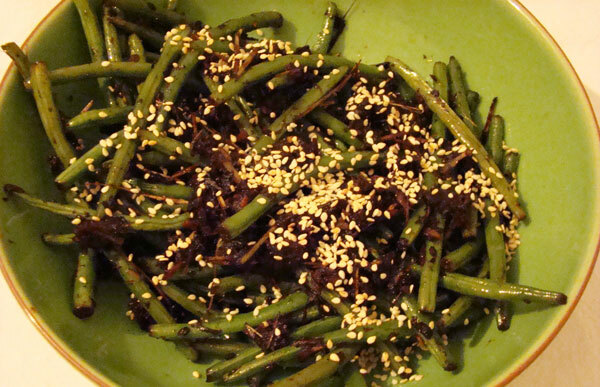 Heat wok until very hot, add remaining sesame oil and the paste, stir-fry until fragrant. Add the beans and stir-fry until coated with the paste. Add fish sauce and soy sauce with a splash of water. As the water evaporates, add more water, a little at a time, until the beans are softened and begin to wrinkle. 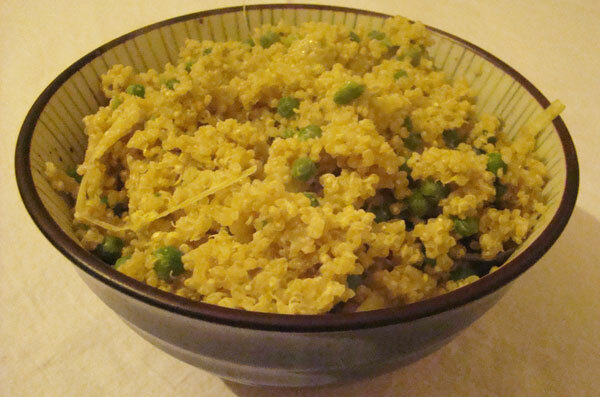 Serve with a sprinkling of toasted sesame seeds. After the intensity of salt, spice and sauciness in Asia we crossed continents to the tranquillity of Cyprus. 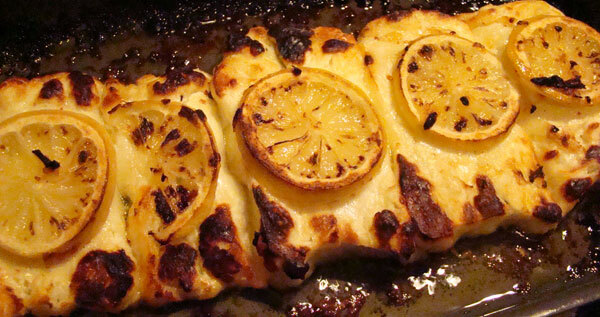 A sticky glaze of lemon, garlic and honey, coated perfectly grilled slabs of halloumi and had us all licking our lips. Sublime! And so with full bellies my diners touched down back in London and were rather impressed with their globe-trotting culinary experience. Stand out dishes were the Cauliflower steaks and Wrinkled beans. Flash Cooking lives up to its title, and incorporating flavours from around the globe is certainly my style. The book also provides a guide for a healthy lifestyle in a ‘Flash Mantra’ if you like, which is not exactly what I look for in a cookbook, but might be insightful for some! Not all recipes have pictures, which means if you are anything like me those without will not get a workout! However, a great balance of dishes which are quick and simple to prepare and perfect for cooks wanting to explore the flavours of the globe. Thanks to Quadrille Publishing for allowing me to taste drive Flash Cooking.